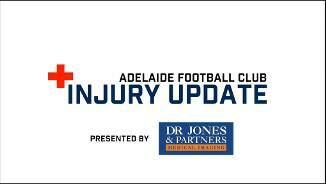 GM of High Performance Matt Hass updates us on this week's injuries. 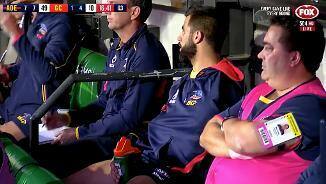 Wayne Milera will play no further part in the game after copping a knock in the second quarter. GM of High Performance Matt Hass speaks about the health of the list heading into round two. GM of High Performance Matt Hass speaks about the health of the list heading into round one. GM of High Performance Matt Hass talks about the health of the list heading into round 23. GM of High Performance Matt Hass talks about the health of the list heading into round 22. 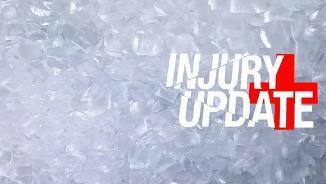 GM of High Performance Matt Hass has the weekly Injury Update. 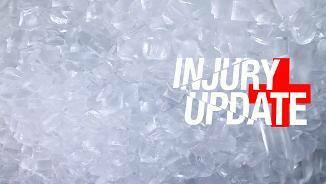 Crows GM of High Performance Matt Hass speaks about the Crows injury list heading into the Round 20 clash against the Power. Crows GM of High Performance Matt Hass speaks about the Crows injury list heading into the Round 19 clash with Melbourne. Crows GM of High Performance Matt Hass speaks about the Crows injury list heading into the Round 18 clash with Brisbane. Crows GM of High Performance Matt Hass speaks about the Crows injury list heading into the Round 16 clash with Richmond. Crows GM of High Performance Matt Hass speaks about the Crows injury list heading into the Round 15 clash with West Coast.